The largest of the Spanish Canary Islands, Tenerife continues to be a top choice as a holiday destination. Its year-round sun and fantastic scenery also makes it a popular choice for those looking to purchase a home in the sun. If you are thinking of buying a property in Tenerife, see below our quick guide to buying property in Tenerife to help make sure the buying process is as hassle-free as possible. On top of the asking price of the property in Tenerife, you will be required to pay taxes and legal fees for the purchase. The general rule of thumb is that for property purchases in Tenerife you should allow an additional 10% of the property purchase price to cover the legal fees and purchase taxes etc. (this may be slightly more for lower value properties). Lawyers fees: For the conveyance, typically these are charged at 1% of purchase price + IGIC (VAT) at 7%. Usually lawyers will have a minimum fee however which is usually around €1000-1500 euros + IGIC. The lawyer can also prepare a Power of Attorney for you (if required), the costs of this is typically between €150-€200 + IGIC at 7%. (For more information see our article Giving Power of Attorney to Your Lawyer). Some lawyers may also offer a service to assist with the transfer of water, electricity & IBI (council tax) into the purchaser’s name. The costs for this varies but is usually around €250-€300 euros plus IGIC at 7%. Registration Fees: Registration of property typically costs between €300-€900. Spanish Notary Fees: Usually in the region of €700-€1000. Spanish Property Purchase Taxes: Transfer tax of 6.5% of the declared property value (or if the property is a new build, IGIC (VAT) is payable instead at 7% plus 1% stamp duty). Remember currency fluctuates and therefore the price you would pay for a property in Tenerife on the day your offer is accepted, may not be the same on the day of completion. The slightest change in the exchange rate, may end up costing you thousands of pounds extra. It is strongly advised to speak with a currency specialist as early as possible discuss the exchange that hey can offer and also the ways in which they can help you to minimise the implications of currency fluctuations and save you serious money on the exchange (often thousands of pounds). Contact Worldwide Lawyers for more information about how to save money on your currency exchange or for details of a recommended currency specialist. If you require a mortgage to help you with your property purchase in Tenerife, ensure that you know how much you are able to borrow, the options that are available to you and if there are any additional costs associated with obtaining a mortgage in Tenerife. For more information about your mortgages options in Tenerife contact Worldwide Lawyers on 01244 470 339 or at info@worldwidelawyers.co.uk. It is extremely important that you instruct a Lawyer when purchasing a property in Tenerife. 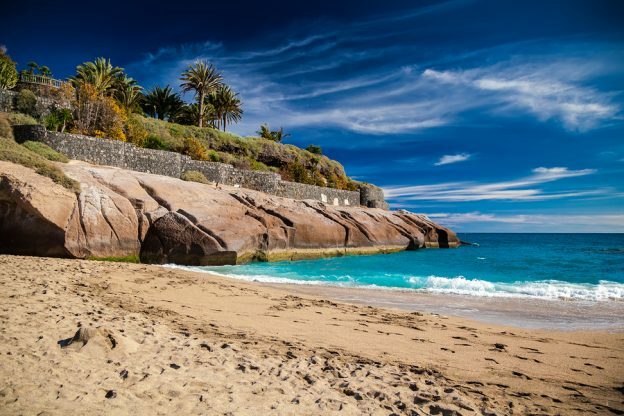 You should ensure that you instruct a Spanish lawyer in Tenerife that is English-speaking (unless you speak fluent Spanish) and has experience of assisting UK clients in relation to property purchases. It is strongly advised that you do not use a lawyer that is recommended by the seller, estate agent or developer. By instructing your own independent lawyer that is no way connected to the seller, you can ensure that there are no conflicts of interest and that the lawyer is acting in your best interests only. You can provide your lawyer in Tenerife with a Power of Attorney so that they can deal with matters on your behalf when you are not in Tenerife. (See our article Giving Power of Attorney to Your Lawyer for more information). It is never too early to get organised and contact a recommended lawyer in Tenerife. Getting in touch with a property solicitor in Tenerife early means that you will be able to budget for their legal fees and you will also have your lawyer in Tenerife on hand to assist you should you need to move quickly with regard to the property purchase. Worldwide Lawyers will be happy to recommend an independent English-speaking lawyer in Tenerife to assist you with your property purchase anywhere on the island of Tenerife. Download your free legal buying guide to Spain here or contact Worldwide Lawyers on 01244 470 339 or email us at info@worldwidelawyers.co.uk for more information or for details of a recommended lawyer in Tenerife. If you not Spanish and wish to purchase a porperty in Tenerife, you will need to obtain an NIE number. An NIE is essentially a foreigner’s identity number. Your lawyer will be able to assist you with getting an NIE number in Tenerife. For more information see our blog Getting a Spanish NIE Number. Once you have found your perfect property in Tenerife, your lawyer will undertake the relevant checks on the property. This will include carrying out checks at the local land registry, town hall and tax office to make sure that the property is free from problems. They will also make sure that the seller owns and has good title to the property and will check to ensure that there are no restrictions to using the property as you intend. An initial purchase contract will be prepared for you to sign and usually a 10% deposit is paid by the buyer. It is important to obtain advice from a lawyer in Tenerife before handing over any deposit or signing any contract, as deposits are usually non-refundable, should you pull out of the property purchase. After your English-speaking lawyer in Tenerife has completed all the final checks on the property, they will prepare the final Purchase Deed and arrange between the parties a date for this to be signed at the Notary’s office in Tenerife. To finalise the purchase, the Escritura de Compra Venta (Deeds) are signed in front of the Notary in Tenerife. The balance of the property price is paid, together with the transfer taxes and you can then be registered as the new owners of your property in Tenerife. If you would like further information about any aspects of buying a property in Tenerife, contact Worldwide Lawyers on 01244 470 339 or at info@worldwidelawyers.co.uk and one of our friendly representatives would be happy to help. Worldwide Lawyers can also put you in touch with a recommended English-speaking lawyer in Tenerife and other specialists who can assist you with making your property purchase in Tenerife as safe, stress-free and cost effective as possible.